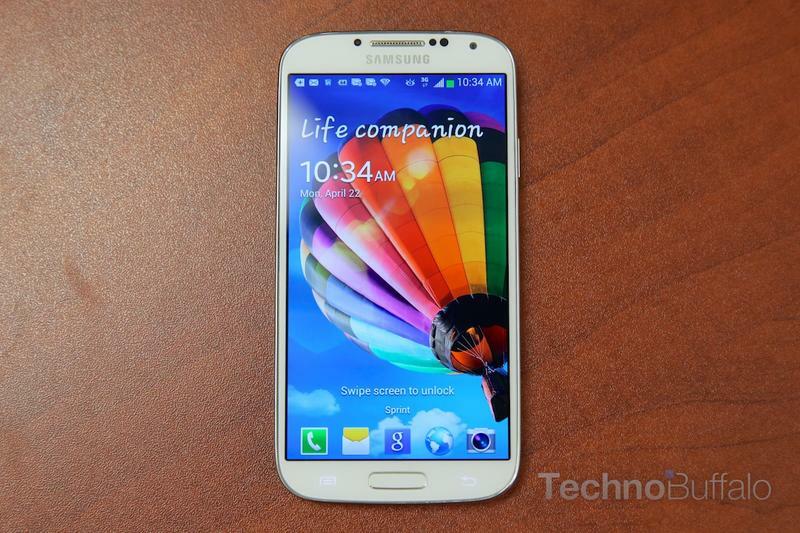 Sprint issued a warning on April 24 stating that the Galaxy S4 was delayed in its retail channels. The carrier issued an update to that statement on Monday noting that supply is now flowing into its stores and that customers can visit a retail location to check out Samsung's new flagship smartphone. It doesn't seem to be guaranteeing that the device will be in stock just yet, but at least there's a much better chance than last week. "We are pleased inventory for the new Samsung Galaxy S 4 is now flowing into Sprint sales channels," Sprint said in an email to TechnoBuffalo. "Our partners at Samsung are ramping up production and we expect additional inventory shipments on a daily basis. We welcome customers to visit their nearest Sprint Store, www.sprint.com or Telesales at 1-800-SPRINT1 to check out Samsung Galaxy S 4 with Truly Unlimited data and 4G LTE from Sprint. We are delighted with the strong response to Galaxy S 4." The Galaxy S4 is available from Sprint for $249.99 with a new two year-contract and before a $50 mail-in rebate. Customers who to switch from another carrier, however, will only need to pay $149.99 with a new contract. For more information on the Galaxy S4 be sure to read our full review.